Find out if your smile might be the perfect candidate for clear braces. A lot of people deal with misalignments in their smile, whether their front teeth are overlapping each other or they have visible gaps between your teeth. 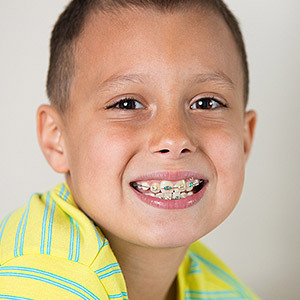 While these issues are best corrected during childhood, we know that not everyone was able to get braces as a child. Luckily, our Haworth, NJ, dentists Dr. Andrew Spector and Dr. Michael Migdal make it possible for older teens and adults to get the straight smiles they want without ever having to wear metal braces. Invisalign is a unique and revolutionary way for people to straighten their smiles without the use of traditional metal braces. Instead, a set of custom-made clear aligners, which look similar to mouthguards or whitening trays, are given to you to place over your teeth. The aligners fit snugly against your teeth, providing the proper amount of force needed to gradually and safely shift teeth into the ideal alignment. This is usually the biggest factor when it comes to whether or not Invisalign will fit your needs. While most people assume that Invisalign only fixes small issues, it can handle a wide range of mild-to-moderate misalignments. It’s great for tackling gaps in your smiles, crowding, overbites, underbites and crossbites. If you are dealing with more severe problems, or require complex tooth movements or jaw realignment, then these clear aligners won’t be the most effective solution. While you are never too old to get braces you can be too young for Invisalign. Invisalign is ideal for adults but older teens can also benefit from this treatment. Younger teens and children aren’t ideal candidates because their teeth are still growing. 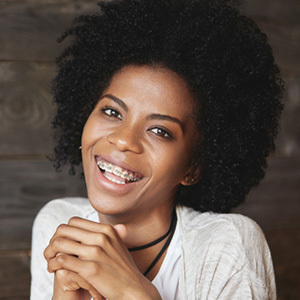 Traditional metal braces are bonded to the front of your teeth and there really isn’t anything you need to do while they work their magic; however, it can be tempting to remove these aligners whenever you feel like it. Taking your aligners off more than you should means that your treatment will take longer. A good rule of thumb is to only remove your aligners prior to eating, drinking (it’s safe to keep your aligners on while drinking water), brushing and flossing. Are you ready to find out if Invisalign is the best option for giving you the smile you want? If so, the next step is to call Gentle Dentistry in Haworth, NJ, and let us know that you want to get Invisalign. We would be happy to schedule a consultation with one of our dentists.